Press Pass LA had the chance to speak with drummer Nathan Samuel Philip, of alternative Toronto Indie band MENEW. Nathan discussed his upcoming tour and new debut album Wide Awake Hello in advance of their August 14th tour date at The Roxy in Hollwyood. Menew released their first EP, Of the Future, in 2008. After the release of this album, they gained huge popularity and were invited to perform “This Isn’t Real” on The Late Night Show with David Letterman and were shortlisted for four Grammy’s nominations. This album served as a prelude to Wide Awake Hello. In fact, the album’s single “Don’t Give up On Us Now” was featured on MTV’S Jersey Shore and The Hills. It was a pleasure to talk with Nathan about the progression of the band and their album. He is definitely one of the most open and humble musicians I have spoke with. PPLA: How did MENEW form? What are their roots? NATHAN: We grew up outside of Toronto in the rural part of Cambridge, Ontario. Our family owned a Christmas tree farm in the area. We (the band is a trio of brothers) grew up playing music and classical piano since age six. The band developed from there, and we introduced ourselves to British rock at an early age. We played on cardboard instruments before we got real instruments and at age thirteen, we bought a drum set. We came from a very artistic household! PPLA: I have listened to your music and I think it is fantastic. What influences you to make and create music? Where do you want to take people with your music in those 3-4 minutes during a song? NATHAN: Making music is what we love to do, and writing a song, well, there is nothing like it. Connecting with our fans is what we thrive off of and making the fans feel something as a result of our music is the most rewarding. We are trying to move as many people as we can. Ultimately, writing music is what we grew up to do. We like to paint a landscape with our music, make it very theatrical so it takes you to a place. People can listen to it and it can take them to a physical place or a place internally. PPLA: Can you talk about the name of the album Wide Awake Hello and the title track? Also, how is this record different from the previous record Of the Future? NATHAN: The song “Wide Awake” came after we had most of the album written. We liked the idea that we had ‘arrived in the world’, and so we changed the title of the record. I do think this album is different. We have evolved as a band. The material we are writing is different and more mature than our previous work. We found our sound on this album. Our skills as players are the same, but we are writing from a place of maturity. We have previous demo’s prior to Of the Future but this album feels like we have arrived. PPLA: Some of your biggest career moments include performing for David Letterman and alongside U2, Stone Temple Pilots, and Filter? What were those experiences like? NATHAN: Performing on Letterman was one of the high points for the Of the Future EP. Backstage, the loading door was filled with signatures from greats that have played in the Ed Sullivan Theatre. The Beatles and Bowie have played there- it was surreal. I was nervous, but it was about being professional enough. It was quite an experience. It was fantastic playing with U2, very humbling and exciting at the same time. When you play with big bands, you go into show mode and forget about the nerves. 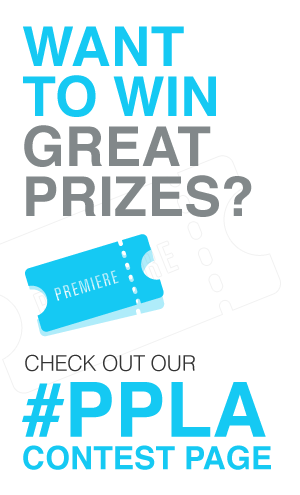 PPLA: Are you excited about your upcoming L.A. tour date and the Sunset Strip Music Festival? What do you think of the music scene in Los Angeles? NATHAN: We have played a lot of shows here in L.A. There is a great crowd, and it’s a fun place to be. We are very happy to be included in the Sunset Strip Music Festival. Check out the band at the Roxy in Los Angeles on August 14th at 7:30 pm as part of the festivities for the Sunset Strip Music Festival. They will be performing all the songs on their upcoming album Wide Awake Hello.